Wow, what a fantastic day we all had at the Celebration of Love and Peace in the Trinity rooms, Stroud on Sunday. 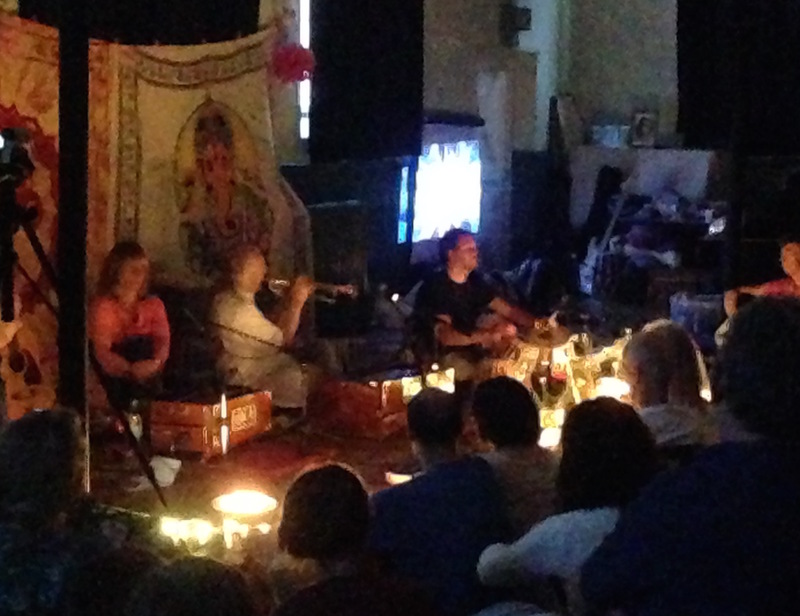 So wonderful it was to be graced with music and kirtan from Bharati & Dinesh, bhajans with the Babaji Temple Singers, classic sitar and Buddhist chants by Craig Pruess and a bhakti dance to unleash with the Raga Babas. Happy birthday and a massive thanks to Jenny and Asta for all the organising and making it happen. 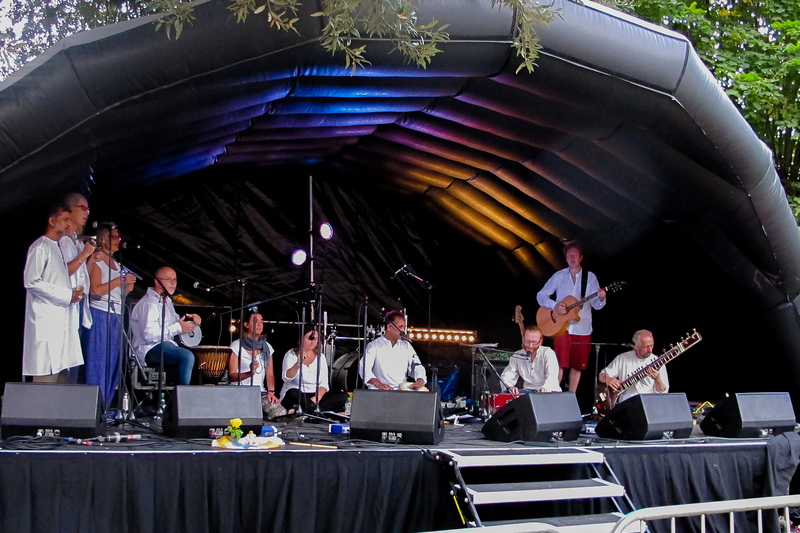 Many thanks to all those who came along to dance and sing with us in Bank Gardens during the Stroud Fringe Festival, it was a really unique experience to be up on the big stage in front of loads of smiling faces spreading some bhakti love in the sunshine. We all had a great time and were very pleased to have Craig Pruess join us on stage filling in for Martin Soloman on sitar and playing some wonderful trumpet solos. The festival itself was fantastic example of how much music and diversity we are blessed to have around us in Stroud the whole town came alive in music, dance and celebration!